Nissan, Peugeot, Mahindra, ExtraEnergy, Cadillac. Nissan Murano debut: The Japanese carmaker will show its 2015 Murano at the New York Auto Show this April. No details have yet been revealed about powertrain options but a hybrid version is expected. 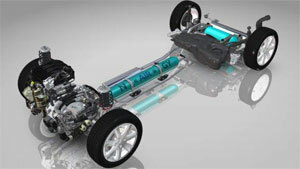 Hybrid Air launch: Peugeot has confirmed series production of its Hybrid Air system from 2016. The Peugeot 2008 will be the first model to use compressed air instead of a battery pack in combination with a combustion engine. Later the B and C segment commercial vehicles from Peugeot and Citroen will follow. Another Mahindra export: As the electric Reva e2o has not received much response in India so far, the company is looking to offer it to island states. Mahindra believes tourists to be more open to the vehicle and that its range of 100 kilometres would be just enough for small isles. LEV Business park: The ExtraEnergy Service GmbH is a newly formed subsidiary of the organisation of the same name. 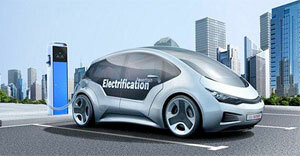 Its mission is to promote light electric vehicles. The company together with the ExtraEnergy and EnergyBus organisations is now moving to its new premises in the German town of Schleiz, Thuringia. Here it plans to revive an industrial estate by inviting LEV component manufacturers to relocate. Cadillac ELR review: Matt Keegan spent a week with GM’s luxurious electric car which turned out to be as much about the driving experience as it was about finding an empty public charger. Here, the strongest competitor was not a Volt, which drivetrain the ELR shares, but a Nissan Leaf using the same park and charge spots. Volkswagen reckons it will soon need to produce 400,000 electric vehicles annually, the equivalent of electrifying three to four percent of its fleet, to be able to comply with EU carbon emission limits. Walmart, Rinspeed, Wrightspeed, Volkswagen, SNAM. Futuristic truck: Walmart revealed the WAVE or Walmart Advanced Vehicle Experience which is the latest of its fleet efficiency programme. The aerodynamic truck seats its driver in a central position and carries a trailer completely made from carbon fibre. Powering the WAVE is a Capstone turbine engine coupled to an electric powertrain. Big savings for big trucks: Wrightspeed’s ‘Route system’ is a plug-in hybrid setup making use of a fuel-efficient microturbine engine. Ian Wright, Wrightspeed founder and former Tesla employee, is aiming to electrify lorries and heavy duty vehicles with his new powertrain. VW for EV battery recycling: The German carmaker has signed a partnership agreement with the French Société Nouvelle d’Affinage des Métaux (SNAM). SNAM will be responsible for the collection, dismantling and reutilisation of used li-ion and NiMH batteries of electric vehicles according to EU directive 2006/66/EC. After placing the winning bid of 149 million dollars, Wan Xiang President Pin Ni cannot wait to restart production of the hybrid sports car, especially as he paid six times the value Fisker was estimated at. Ben Fletcher manages Renault’s EV program and is currently on a promotion tour across the UK. He finds that driving a Zoe changed his travel routine as he now often uses charging time to check emails or chat with passers-by about EVs. EV subsidies in China, Building the Electric Highway Tour. Reading tip: China’s EV subsidies seem to be a bit of a mess and while the latest extension is a welcome step, observers are calling for simplifying and amplifying means by offering tax reliefs for example. Audi, BMW, SGL Carbon, Apple, Tesla, Honda, Mahindra, Infiniti. New Audi A4 is late: Audi seems to have set its priorities right and is postponing the launch of the next A4 by six month until early 2015. According to German newspaper ‘Handelsblatt’, Audi wants to prepare the car for electric and hybrid drivetrain variants first. It seems like Ulrich Hackenberg, new head of development at Audi, is giving the right orders. BMW to boost carbon production: The carmaker and its partner SGL Carbon said they will double output from 3,000 to 6,000 tons while building a second hall for carbon fibre production at their jointly run facility in Germany. The move comes after growing demand for BMW’s electric i-series and plans to use the material in other vehicles like the new 7 series. Open to speculation: Andrian Perica, merger and acquisitions chief at Apple, met with Tesla CEO Elon Musk last year, reports the SF Chronicle. While the meeting might have been (re-)fuelling speculations about Apple buying the electric carmaker, no new or feasible facts emerged. No more Honda hybrids: Due to low demand, the Japanese carmaker will stop offering its Insight and CR-Z hybrids in Europe. Only the Jazz hybrid (also known as Fit) will stay but could be discontinued in 2016. Electric cab export: Mahindra will not offer its latest Verito Electric on its domestic market. The company is however looking into exporting it as an electric taxi and is currently researching potential markets. Infiniti Hybrid tested: Autoweek set out to find out if the new Q50s hybrid is able to compete with its German competitors. Being “Prius quite” and with a “very good” overall quality, Infiniti is on the right track to become a serious competitor to the “established kings of lederhosen”. 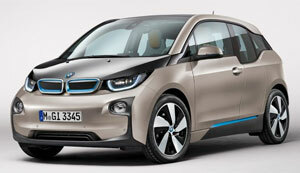 The BMW i3 was Germany’s favourite electric car with 229 units sold this January. It was followed by the Nissan Leaf (71) and Renault’s Zoe (48). The Tesla Model S found 30 buyers. McKinsey, NREL, DoE, IIT, Stanford University, Opel. EVs made in Germany: McKinsey’s latest Electric Vehicle Index (EVI) saw Germany overtaking Japan and becoming the second largest EV manufacturer behind leading USA. The consultants had a word of warning for the German carmakers though, to not concentrate their efforts on plug-in hybrids as the uptake of all-electric cars is much stronger, particularly in North America. Fuel cell buses in Canada: Researchers from the National Renewable Energy Laboratory (NREL) have issued a full report on their two-year trial of fuel cell electric buses (FCEB) in Whistler, Canada (we reported). The 20 FCEB ran for 22 hours a day, thus reeling off three million kilometres. Refillable battery: Researchers from Argonne National Laboratory and the Illinois Institute of Technology have developed liquid electrodes. The new batteries, which in theory will be able to store five times more energy, could be recharged conventionally and refuelled like gasoline. Pomegranate-like anode design: Researchers at Stanford University and the Department of Energy believe a new design inspired by pomegranates could open up the use of silicon or other volume changing materials as anodes for lithium batteries. Opel range extender: The German arm of GM’s Vauxhall brand will present a new three-cylinder engine at the Geneva Motor Show. While it will primarily be used to power the small Adam model, it could soon become a lighter and more economical range extender for the Opel Ampera and GM Volt. Great Britian’s roads minister Robert Goodwill gave uplifting numbers when asked about Government’s “over-budgeting” for electric cars. Still, 170 million pounds reserved to bolster EV sales remain unspent so far. Electric rickshaws in India, Honda´s fight against emissions. Reading tip: Only because electric cars are not particularly widespread in India, does not mean the country is not fond of electric transport solutions. Apparently, electric rickshaws made in China are gaining more and more popularity in Indian cities. Video tip: Honda certainly is one of the more serious carmakers when it comes to reaching the goal of zero emissions. This video tracks the company’s never-ending endeavours of developing more fuel-efficient cars. Mia Electric, Wanxiang, Fisker, Tesla, Kia, BMW, Nissan. Mia Electric undergoes judicial reorganisation: In the coming six months, the French e-carmaker will be under the watchful eye of the insolvency courts. But Michele Boos, head of Mia Electric, is not ready to throw in the towel. She wants to continue pushing the all-electric car in France and hopes to produce some 200 vehicles per month in 2014. Wanxiang Group wins Fisker-bid: The Chinese company won the bankruptcy auction to buy the remaining Fisker assets. Wanxiang has bid 149.2 million dollars, of which the company will pay 126.2 million in cash. The U.S. Bankruptcy Court is expected to approve the bid tomorrow. Parked Tesla catches fire: A Model S burst into flames while parked in a garage in Toronto, Canada. The car was not being charged at the time. Moreover, the battery and charging infrastructure remained intact. Tesla says it is examining the incident. Kia Provo premiers in North American: After it had been shown for the first time at Geneva last year, the hybrid concept car is now on display at the Canadian International Auto Show (CIAS). It features a gasoline-fuelled turbocharged engine assisted by an electric motor and was designed for “pure fun” and “is a game changer in the B-Segment,” so the carmaker. BMW van on display in Geneva: It is time for the Bavarian carmaker to show the production version of its new compact van. Unveiled as a plug-in hybrid concept at Geneva 2012, it is highly likely that the plug-in drive will make it into production as well. The 2 Series Active Tourer will start with petrol and diesel engines when starting in September this year. The greenest of them all: According to Automotive Science Group, the Nissan Leaf has the lowest carbon footprint, taking into account i.e. materials, assembly, and end-of-life recovery. A complete study of 1,300 vehicles sold in North America will be released this spring. Some 775 EVs were sold in France in January – an overall decrease compared to last year numbers. Best-seller was again the Renault Kangoo ZE with 200 units sold; a poor result considering that 444 models had been sold in January 2013. The Nissan Leaf, on the other hand, more than doubled its sales. 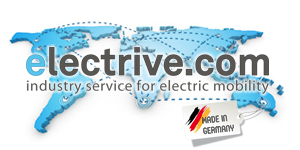 Iran, Siemens, EP Tender, Technical University of Aachen. Iran goes hybrid: The country’s leading carmaker Iran Khodro Company (IKCO) said they have completed the development of a plug-in hybrid car. The ‘Runna’ reaches up to 120 km/h and will go 70 to 80 km all-electrically on a charge. First tests are scheduled for summer. Hot H2: Siemens has developed ceramic electrolytic cells for electrolysis at 850 degrees Celsius. Not only does the high-temperature process increase efficiency, it also makes it possible to reverse the flow of electricity. Range extender on demand: The EP Tender by French inventor Jean-Baptiste Segard is essentially a gasoline engine, build onto a small trailer. The trailer can be hitched to any EV to help it go that extra mile. More than just a toy: As part of the ASTE project, students and engineers at the Technical University of Aachen built a miniature Unimog made out of Lego and featuring a fully functional parallel hybrid drive. The goal is to better explain alternative drives to students. Randy Denmon and driving-buddy Dean Lewis completed their journey from Texas to Panama in a Tesla Model S. Armed with nothing but charging adapters, they wanted to prove that EVs can also be used in areas without fast-charging infrastructure. Model T vs. Model S, T.E.N. Episode 21. Reading tip: ‘Car and Driver’ put a Tesla Model S up against a 99-year old Ford Model T in a race from Detroit to Long Island. Guess who won! Video tip: This week, T.E.N. (Transport Evolved News) reports about the trip from Texas to Panama in a Model S, the BMW i3 Launch Edition and plans in U.S. state Georgia to kill EV subsidies. Volkswagen, Kia, Renault, Supra, Honda, Ariel Rider. 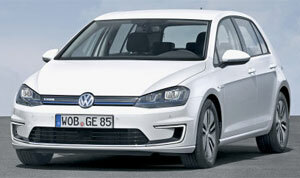 E-Golf available: In Germany, Volkswagen is now taking orders for its latest electric car. The e-Golf starts at 34,900 euros (47,700 dollars), including an eight-year battery warranty or 160,000 km respectively. Like the E-Up, the electric Golf comes with standard features such as a heated windscreen and LED daytime running lights. Kia Soul in Geneva: The long-awaited Soul EV will make its European debut at this year’s Geneva Motor Show alongside the updated Optima Hybrid. The two will be joined by Kia’s new 48 V mild-hybrid system, which is capable of driving a car in all-electric mode at low speeds and while cruising. Twingo in Geneva: Another highlight in Geneva this year will be the unveiling of the latest generation of Renault’s Twingo. With an electric version in the making, the Twingo will also serve as a base for the new Smart Forfour. So far, the third-gen Twingo reminds us a more of the Fiat 500 or Opel Adam though. Supra set: Toyota made its decision that its FT-1 concept will indeed become a production Supra, according to a “source close to Toyota.” The Japanese carmaker is believed to be working on a smaller hybrid sports car too, expected by 2017. Hybrid Odyssey: Honda’s developer Takashi Shinchi said the Japanese carmaker is considering to introduce a hybrid version of its Odyssey on its domestic market but no decision has been made yet. The Odyssey’s ultra-low floor makes it particularly tricky to integrate a battery. New e-bike brand: ‘Ariel Rider’ has started its work on electrifying cruiser bicycles. These new alloy bikes have no-plastics frames but come with details such as stitched handlebars or automatic LED lights. Behind Ariel Rider are the same people who launched e-Bann bikes. In Germany 541 electric cars were registered last month. This is a meager 0.3% of the overall market but a 50% increase of EV sales. Mitsubishi Electric, Fraunhofer ESK, Toyota, UK. 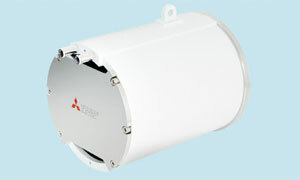 Compact motor: Mitsubishi Electric’s latest prototype for a new EV drive system comes with a built-in silicon-carbide inverter, thus making it very compact. Thanks to similar figures in volume and power, the new motor will be able to be used as a replacement part for current motors. Before commercialisation, cooling technologies will have to be finalised. V2G demonstration: At the Hannover Trade Fair in April, the Fraunhofer ESK will present a charging station serving as an interoperable node between EV and the grid’s control center using the ISO/IEC 15118 and IEC 61850 standards. The researchers designed their model as reference for utility providers still hesitating to apply the standards. Inductive charging trial: Toyota will be testing its wireless charging technology in Aichi, Japan. If successful, the Japanese carmaker believes its inductive system could reduce charging times to 90 minutes. How-to for flooded EVs: With great parts of the UK currently being hit by floods, this guide might be helpful to some EV drivers right now. Transport Evolved sums up the most important advices if your car has been gone under water. Hopefully you will never need it! Lucas Ordonez, who has been named as the first driver of Nissan’s ZEOD RC car, on Le Mans. EV analysis, BMW i3, Formula E driver pool. Click tip: IDTechEx launched its new ‘Electric Vehicle Market Intelligence Portal’ designed to provide analysis of the EV market for land, water and air. 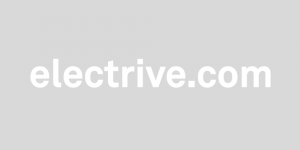 Video tip: Swiss Piero Istrice made this video advertising for the new Ecoist platform. Watch it all to the end to find out what happens when the i3 meets a V6 at the car wash! Formula E driver pool complete: The electric racing series has filled the remaining eight spots in its pool of drivers. Jaime Alguersuari, Nicolas Minassian, Alex Brundle, Robert Doornbos, Christian Klien, Conor Daly, Katherine Legge and Ben Collins join the league of racers eager to get behind the wheel of the Spark-Renault SRT_01E for one of the ten Formula E teams. Bosch, GS Yuasa, Mitsubishi, Toyota, BMW, Toyota, Honda. German-Japanese battery joint venture: Lithium Energy and Power GmbH & Co. KG is the name of a new joint venture by Bosch, GS Yuasa and Mitsubishi. Established in Summer last year the enterprise has declared its ambitious goal to develop li-ion batteries with double the energy capacity of today’s technologies. The joint venture of which Bosch holds 50% of the stakes is based in Stuttgart, Germany and has already recruited 70 employees. 1.9 million Prius to be recalled: Toyota will have to recall all Prius hybrid models built between March 2009 and February 2014 worldwide, due to problems with software controlling the motor and hybrid function. Toyota will contact owners as soon as a software update is ready. All or nothing for early i3 buyers: In the first three months BMW USA will offer its electric car as ‘Launch Edition’ only. This leaves first buyers with no choice but to “opt-in” for all available add-ons, with only the REx being optional, which boosts the price from 41,350 up to 50,875 dollars. Toyota to increase production: Thanks to growing demand for its Yaris and Yaris hybrid, the Japanese carmaker will ramp up output at its plant near Valenciennes, France. Three-shift operations starting in June are set to increase annual production by 15% to 220,000 units. Honda in Geneva: At the upcoming Motor Show in Switzerland, the carmaker will show its hydrogen concept FCEV as well as an updated NSX concept hybrid. Wanxiang stock soared 20 percent in the last three days because rumours of a cooperation with Tesla were not denied quickly enough. Another reason might have been the outlook of Wanxiang taking over the remaining Fisker assets. Magnetic eCVT: Magnomatics has introduced its Magsplit 2 (Magnetic Power Split), a magnetic transmission that could replace both the mechanical planetary gearset and motor/generator a hybrid system usually consists of. Toyota’s battery plans: Toyota is currently working on solid state batteries, which its engineers believe could be ready for production by 2020. Also lithium air batteries are being developed but will not be produced before 2030, the company said. Kia heating system: The Soul EV uses an innovative heating and ventilation system designed to save energy by making use of waste heat and carefully controlling airflows. A heat pump utilises waste heat of the air-conditioning and electrical systems to minimise the energy consumption. Hacker Princess hired by Tesla: Kristin Paget, formerly employed by Microsoft and Apple, has been hired by the Californian carmaker. “Something security related” was all she let out on her new job description. Hideki Iba, Toyota’s battery research manager, seems only sure of one thing: the Prius 2015 will feature new batteries. With the outcome of yesterdays Fisker auction still unknown, Delaware University professor Willett Kempton hopes whoever buys the assets wants to manufacture in Delaware and make use of the former GM plant in Wilmington as originally planned by Fisker. Most innovative companies, V2G-enabled plug-in cars. Click tip: Fast Company magazine published its list of the world’s ten most innovative companies. Tesla takes the first place because of its supercharger network that is speeding up EV adoption. Study tip: A new report from Navigant Research predicts that from 2013 to 2022 more than 250,000 V2G-enabled plug-in cars will be sold worldwide. Hybrid Tech, Centro, Terra Motors, Volkswagen, Mahindra, China. Hybrid Tech bolsters bid: In preparation for a possible Fisker restart after this today’s auction, Hybrid Tech Holding has hired former Ford executive Martin Leach. This might be interpreted as a try to counteract arguments of the other bidder, Wanxiang, being better equipped for reviving bankrupt Fisker. 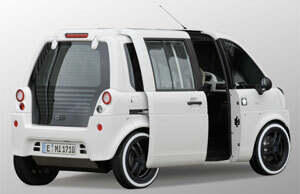 Electric utility vehicle: Centro Motor Corporation announced to soon unveil the KOMBI. The all-electric utility vehicle is claimed to be the first electric vehicle of its class in the US. Equipped with a 6.2 kWh lithium battery from Samsung, the micro van will have a range of over 50 miles on a single charge. 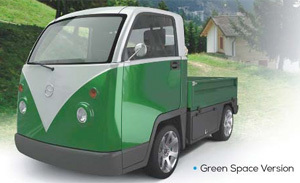 Two Terra Motors concepts: At Indian Auto Expo, the Japanese unveiled the electric A4000i scooter and the T4 e-rickshaw. The latter uses a lead battery which supplies a range of 80 kilometres. The e-scooter is powered by a li-ion battery with a range of 65 km and uses a smartphone to display details such as the speed, charge status and range. VW XL1 in South Korea: Volkswagen has started a tour of test drives and showcases of its ultra-efficient XL1 across South Korea. But mobile coupons and miniature models will be all Koreans get as the 250 units of the diesel plug-in hybrid will be produced and sold in Europe only. Maxximo electric: Mahindra showed an all-electric version of its mini-van at the Auto Expo in India. Now some more details are public: The Maxximo electric is said to have a range of 90 kilometres at a top speed of 55 kph and weighs 2,165 kilos. China’s EV promotions: While China plans to extend EV subsidiaries beyond 2015 (we reported), its finance ministry now announced changes to incentives currently in place. Previously planned reductions of subsidies by 10% in 2014 and 20% in 2015 have now been halved to 5% and 10% respectively. BMW’s American dealers have a list of 65,000 potential buyers for the i3 and i8. According to Trudy Hardy, VP of Marketing for BMW North America, this interest-based demand exceeds supply by far. Tesla, Azure Embark, University of North Carolina, Limerick University. Juggling charging: Two patents filed by Tesla, point to preparations for times when super chargers will have to handle many cars at once. U.S. Patent Application 2013/0057209 and 2013/0307475 outline prioritisation models according to state-of-charge, battery temperature or time of arrival. Hybrid boat: At the Düsseldorf boat show, Italian Azure Embark presented the Ethos 30 or E30. The hybrid boat is equipped with a 13 kW electric motor powered by a 9.2 kWh LiFePO4 battery allowing for a 20 hour cruise at 3.5 knots. Solar panels on the roof are “primarily accessories,” says the company but when in hybrid mode, the E30 will travel 7,000 nautical miles (8,055 mi). Lubricant turned electrolyte: Researchers at the University of North Carolina and UC Berkeley, have found a new class of nonflammable electrolytes for li-ion batteries. These electrolytes are based on functionalised perfluoropolyethers (PFPEs), usually used as a heavy-duty lubricant, and remain stable at temperatures beyond 200 °C. Electrically grown anode: Researchers at Limerick University and University College Cork (Ireland) have developed anodes for li-ion batteries from tin-seeded germanium nanowire arrays. The anodes “grow” into a mechanically stable yet porous structure after about 100 charging cycles, providing a stable anode for about 1,100 cycles. While Brad Berman is not particularly impressed by the battery and motor specifications of Kia’s all-electric car, he expects that the “quirky” looks of both the interior and exterior are more likely to attract buyers. Diarmuid O’Connell, Tesla’s vice president of business development, is optimistic after Tesla’s shares reached its record high yesterday following the news about China’s plans to extend its EV subsidies. Tesla Music Streaming, EV Sales in Norway. Listening tip: European Tesla drivers will soon be able to tune in to Rdio. The music streaming service has been selected as the default dashboard audio service for Model S, similarly to Slacker in the U.S..
Click tip: January 2014 has been another great month for EVs in Norway. Once again the Nissan Leaf became the best-selling car in the Nordic country with now almost every tenth car sold being all electric. Second best-selling EV was the VW E-Up followed by the Tesla Model S.